← Northeast pattern change around the corner? I like the trend of the GFS, brief mixing or changing to rain all the way up to the Connecticut Coast – Parts of Long Island stay mainly rain. 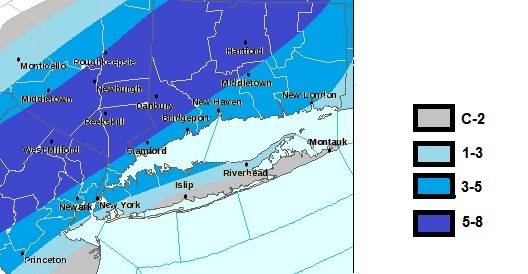 3-5 Inches expected for much of I-95, more north and west.